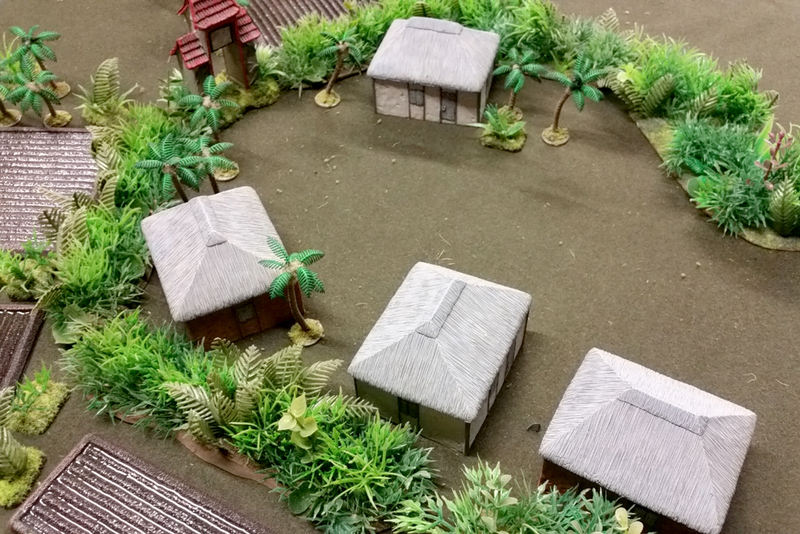 When I was getting into Brown Water Navy for Vietnam, I knew I was going to need a lot of jungle terrain. It’s a rather iconic piece of terrain for the region, so I wanted to make sure I had a lot that I could spread out across the battlefield. After looking around online I found some good tutorials out there, so be sure to have a look at those as well as this one and take the bits that work for you and your project. Most projects seemed to use plastic aquarium plants so I decided to give that a try. So after many trips to the local (and not-so-local) $2 shops, AliExpress, and pet stores, I gathered samples of all different types, including palm tree cake decorations, artificial seaweed, floral accents, and aquarium tank mats. But that’s not the only sources. I’ve seen people use lichens, clump foliage, and more. 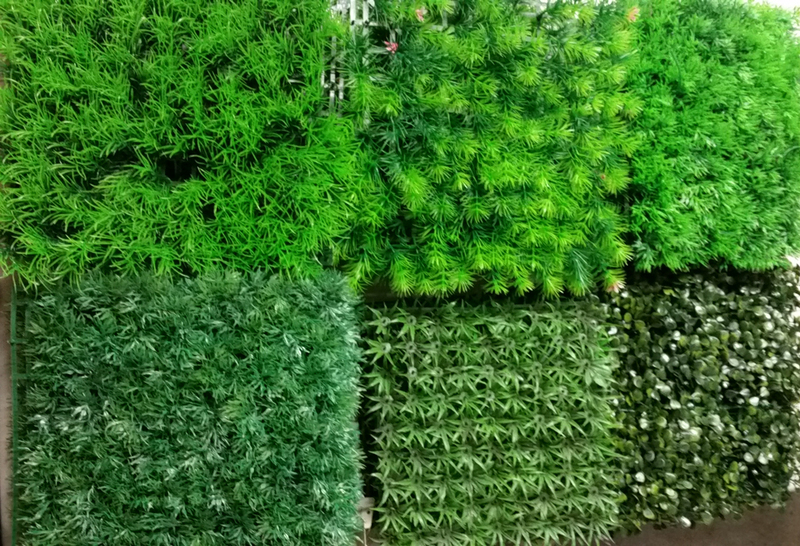 Here’s a few examples of artificial plants I found. When you’re shopping for plants, there are three things to keep in mind. First some of the more complicated looking plants can be broken down. Have a close inspection of them and see if they can be broken up into smaller pieces. Second, some of the larger ones might be cut down to smaller pieces manually, such as ferns. Finally, the last thing to consider is how you’re going to actually fix it to the base. Another thing to consider is color. I chose to go 95% green with a few highlights of bizarre colors here and there like purple and white. These help keep things interesting, but be careful or your pieces will end up looking more like a sci-fi jungle than a real one. 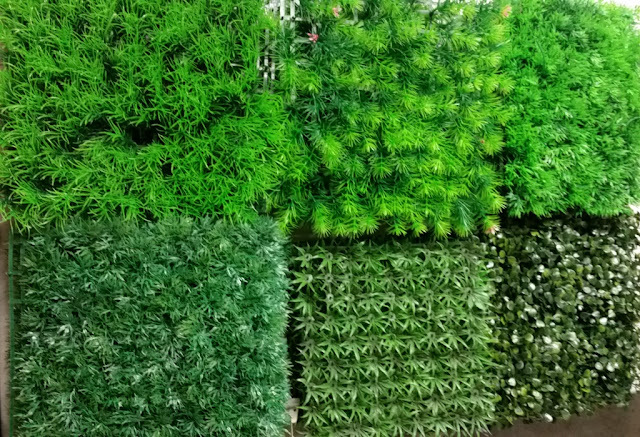 When gathering your foliage, it’s a good idea to choose a single type that will be the common base plant for all the pieces. I chose a leafy bush that I could get enmasse on aquarium mats. This ensured I had a large supply of common plants that I could use across the collection that would ultimately tie them all together visually. Next I carved a bunch of different shapes and sizes of bases. I made sure that the bulk of them are small enough to fit in the kidney-shaped forest bases from the Battlefield in a Box range. That way I can use the option to put a couple jungle pieces on a base and use the normal forest rules (that’s not to say there weren’t fir or deciduous trees in the PTO). Also, another trick is to use the pegs from the aquarium mats to fix some plants onto the pieces. This is useful for large clump vegetation. My recommendation is to cover the green “cups” up with smaller vegetation and clump foliage. The goal here is to make sure that the bases can be used independently as well so that there’s got some versatility in their use. I made some round bits as well as some long narrow river-side bits for Nam. In Vietnam, the jungle was cleared up to the river with agricultural fields right behind, leaving a small strip of jungle between the fields and the river. This was also true elsewhere in the Pacific, but it’s also good for roadside linear terrain on plantations. So those will be good for my Pacific tables as well. In the end, choose the shapes and sizes that works best for you and your table! I added some vinyl spackle for texture and painted the bases brown. I then applied some GF9 and Woodland Scenics flock and static grass to them. I did this because I made the n00b mistake of attempting to do that after the plastic plants were in place. It was a nightmare trying to get into the middle of that jungle (who would have guessed!). Then I drilled a billion holes into the base. I’ll then cut up the vegetation into smaller single plants and just start gluing them into the holes using a hot glue gun. It’s a tedious process, but after a while you get into a rhythm. One thing to consider at this step is that you should think about clumping like plants together, like these nippa palm fronds that I cut from a palm tree that was waaay to big for 15mm terrain. These re-purposed fronds work well together and form a sort of palm-wall. Spread out the sections of unique plants and concentrate them inside the jungle base. In doing so, make sure that you leave space for your basic plant. As you might recall I chose the leafy bush plant to be the common plant across all of my pieces. The primary function of these pieces is to thicken out the piece so that you get a lot more mileage out of your more unique plants (and favorite plants. Bizarrely, you’ll bond with some and be sad when you use the last of them). First I installed plants, cups and all, along the centerline of the piece where I left some of their original pegs. Then I took some more of the bushes and separated them from the cups and glued the smaller sections into the holes around the edge of the piece to conceal the center cups and any deformities. Once all the glue has dried it’s worth giving all the plants a tug to test their durability. Remove any hot glue hairs you might find and cut the stems from under the base so it sits flat. Then you’re done! The final step is one I credit to James Brown at Battlefront. I was not happy with the bright waxy texture of the plastic plants, so he suggested that I dust them with a khaki spray paint. So holding the aerosol about a 16”/40cm higher than the piece, I sprayed over them, letting the paint fall onto the plants. This created a marvelous effect in the end, so thanks James!